LONG-suffering Zimbabweans should brace for even tougher economic times ahead, following last week's surprise announcement by Finance minister Mthuli Ncube that the country would have yet another currency within a year - a move experts say will drive up the prices of basic goods and also cause shortages. The warning comes as most big supermarkets and other retail shops around the country have hiked the prices of basic consumer goods - sharply raising the cost of living for ordinary citizens. Ncube's announcement, which one analyst described as "a bolt from the blue" yesterday, was made hardly three months after the Reserve Bank of Zimbabwe (RBZ) had introduced the RTGS dollar, together with an interbank market which allows the formal trading of foreign currency by banks. 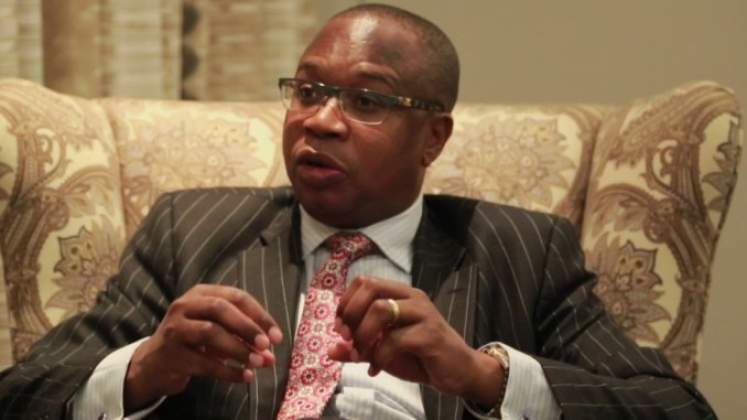 Business leaders and political analysts who spoke to the Daily News said Ncube's announcement, which he made in the United States where he was attending International Monetary Fund (IMF) meetings, undermined the confidence that the government was desperately trying to build. A Treasury insider also bemoaned what he called Ncube's "tendency to surprise the markets and create unnecessary confusion". "Undermining confidence has negative implications on inflation, prices and the exchange rate. Talking about a local currency at the moment is premature as we already have an RTGS dollar. "In this day and age of moving towards a cash-lite society, concentrating on a physical currency is retrogressive," the insider added. Former Finance minister in the short-lived but stability-inducing government of national unity (GNU), Tendai Biti also said Ncube's statement had undermined recent RBZ measures - warning that the prices of basic goods were going to "shoot through the roof" as a result. "That is rank madness. How does one change currencies like they are changing diapers? What is the point of changing the name of the currency if it will suffer the same fate as the bond note? "The RTGS dollar will now depreciate even more and the black market rates will rise. It will have a catastrophic impact on industry which relies mainly on imports," Biti told the Daily News. "There will, inevitably, be fuel shortages as well ... and this will also come with more company closures and increases in prices. "There will be massive externalisation as people trade offshore and there will also be increased budget deficits," he added. University of Zimbabwe political science lecturer Eldred Masunungure described Ncube's announcement as being based on "wishful thinking". "There is consensus among stakeholders, including consumers, that economic fundamentals around productivity have not changed much, hence it is clear that the announcement is wishful thinking as it is not backed by the situation obtaining on the ground. "Until the so-called fundamentals are right, there is no end in sight of our problems as a country because the currency will suffer the same fate as the RTGS. "So, Ncube's proposal is not prudent and is bound to fail, especially if there is no increase in productivity to have reserves that will hedge the currency," Masunungure said. In February, the RBZ introduced the RTGS dollar when it unveiled its monetary policy statement which sought to breathe new life into the economy. However, the RTGS dollar - which opened trading at 2,5 against the US dollar - has since lost nearly 25 percent of its value, with the interbank market battling to attract money. At the same time, the black market continues to give more attractive exchange rates, forcing sellers to do business there - and, in turn, leading companies to buy forex for their needs at a high premium. Following Ncube's announcement, the forex parallel markets shot to nearly RTGS$5 to the greenback, amid indications that the situation could quickly get worse. On their part, business leaders said the government needed to look at the problems which were pushing up prices and inflation in the country, before it started "talking of introducing a new currency". Confederation of Zimbabwe Industries (CZI) president Sifelani Jabangwe also said price increases were likely to continue unless there was stability in the economy. "What is important is that we stabilise now … before the new currency is introduced", Jabangwe said. Confederation of Zimbabwe Retailers (CZR) president Denford Mutashu said it would be futile to bring a new currency without first addressing all the problems afflicting the economy. "The hope is that government and monetary authorities are taking the necessary steps in terms of getting the fundamentals right, before they launch a new currency," he said. Many shops in Harare which were visited by a Daily News crew at the weekend had sharply increased their prices of most goods - such as sugar, beans, cooking oil, flour, eggs, Mazoe orange crush, meat, rice and soap. The rise in the prices of cereals and grains were necessitated by the government's decision to hike grain producer prices. Last Tuesday, the government increased the producer price of maize from RTGS$390 a tonne to RTGS$726 - while wheat was increased from RTGS$630 to RTGS$1 089,69. Resultantly, the Grain Millers Association of Zimbabwe (GMAZ) at the weekend announced new and higher prices of mealie-meal. In a letter addressed to Industry and Commerce minister Mangaliso Ndlovu, the millers said the price increase would come into effect today. "We welcome the recently announced wheat and maize prices and marvel at the government's effort in balancing viable producer prices and affordable subsidy levels. "Consequently, we wish to advise that the following maximum recommended prices of maize meal and bakers flour shall apply effective Monday April 15, 2019", GMAZ chairman Tafadzwa Musarara said. Consumers will now have to part with RTGS11,85 for a 10kg bag of roller meal, which used to cost RTGS$9,20. A 50kg bag of flour will now be sold at RTGS83, up from the previous RTGS$45. The National Bakers' Association of Zimbabwe president, Ngoni Mazango, said they would issue a statement on the prices of bread this week. Zimbabwe is battling a huge economic crisis which saw ugly riots breaking around the country in January this year, after the government had sharply hiked the prices of fuel. Apart from having to contend with recurring fuel shortages, the government is also struggling to stock public hospitals with critical medicines and modern equipment.